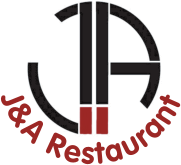 At J & A Restaurant in Regina, we offer a wide variety of Chinese favourites that suit any taste and craving! Our creations are inspired by traditional flavours and culinary techniques from all regions of China. Check out our menu below for specialties such as dumplings, shrimp, steamed noodles, and more. We offer many varieties of delicious dim sum as well, and of course, no Chinese meal is complete without tea. Contact us for more details and be sure to visit us for lunch, dinner, or anything in between today!